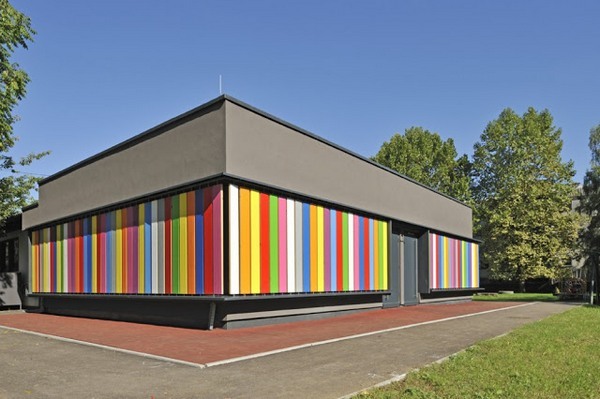 Kindergarten Kekec, located in Ljubljana, Slovenia was originally built in the eighties. 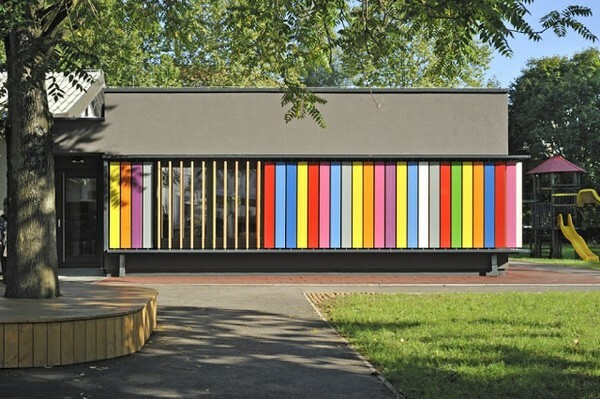 An extension was planned for the kindergarten, which also lacked play equipment. 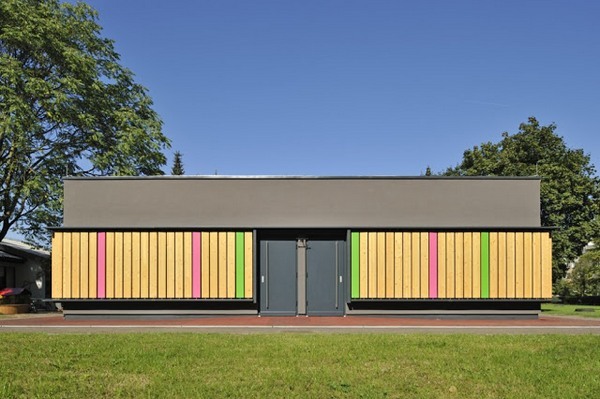 To address these issues, architects Arhitektura Jure Kotnik created rotating pre-fabricated wooden panels for the exterior walls of the kindergarten extension – natural timber on one side and a rainbow of colours on the other. 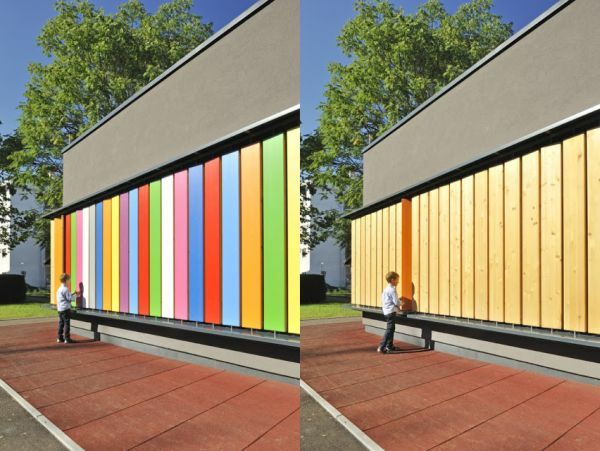 These clever panels allow the children to constantly change the appearance of their kindergarten. 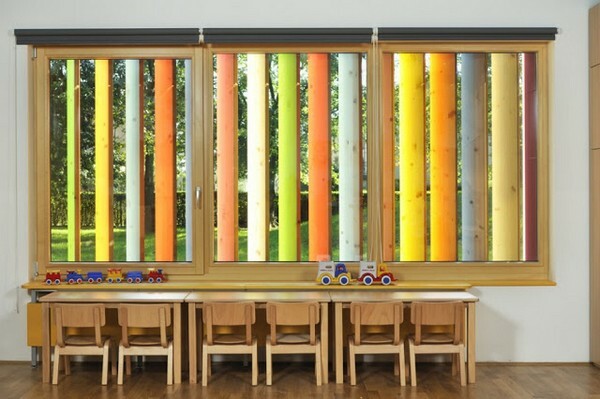 I think the result is nothing short of spectacular. 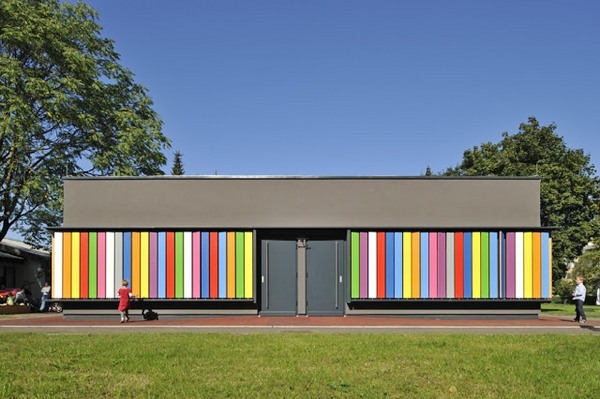 For more inspired schools and kindergartens, see our previous architecture posts.